Writer Brian Wood is doing some great things with his run on Conan. Even an ever changing roster of artists can't dampen what is turning out to be a real winner for Dark Horse Comics. 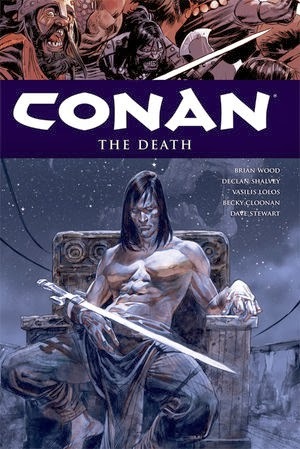 Conan Volume 14: The Death continues this phenomenal series by collection issues 7-12. Although this volumes does stand well on its own, I'd highly arise reading Conan Volume 13: Queen of the Black Coast beforehand. It's not essential in order to understand what's to come, but does assist in giving significantly more weight to what transpires. Funnily enough, Wood has taken Conan and turned it into somewhat of a romance novel. 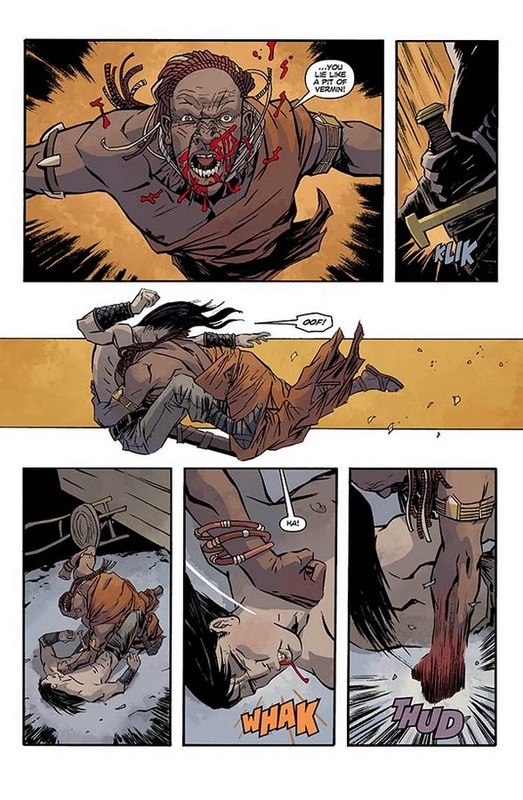 The relationship between Conan and Belit takes centre stage in both this and the previous volume, being complimented rather than overshadowed by the action and violence that takes place. Rather than detracting from the elements of high-adventure, Wood's emotionally focused approach enhances the experience. Bloody battles and dangerous journeys are so much more intense when you're emotionally invested in the characters involved in them. The story opens with Conan taking his lover, the Pirate Queen Belit, to his homeland, Cimmeria. Where you or I might bring a girl home to meet our parents, Conan takes Belit with him so she can assist him in killing a murderous warlord who has stolen his name. It's all very romantic stuff. 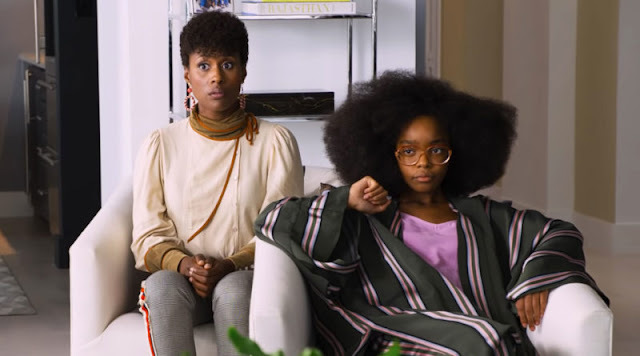 What follows is an emotionally fuelled tale that pushes Belit and her love for Conan to its limit. Wood is quick to play with the fact that in the harsh wilds of Cimmeria Belit's reputation and infamy hold no value. She is an unwelcome stranger not used to the dangers of the Conan's homeland. 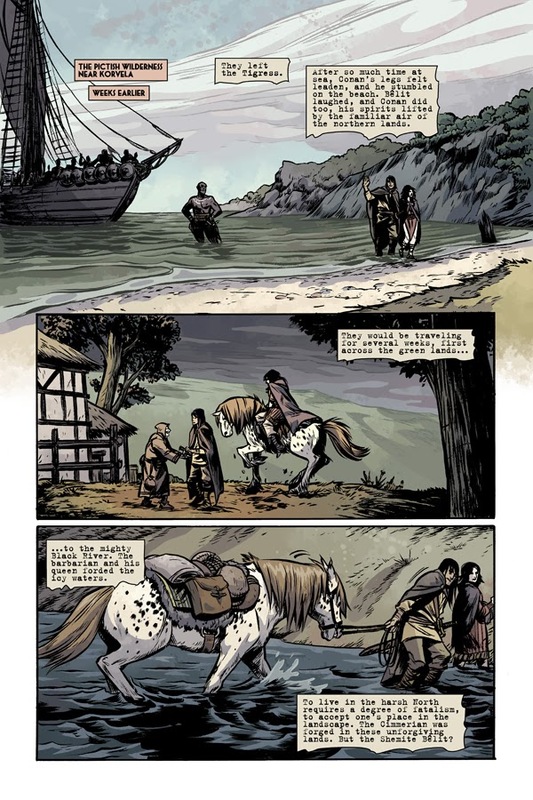 Bringing Wood's script to life is the art of Becky Cloonan (Chapter 1), Vasilis Lolos (Chapters 2-3) and Declan Shalvey (Chapters 4-6). 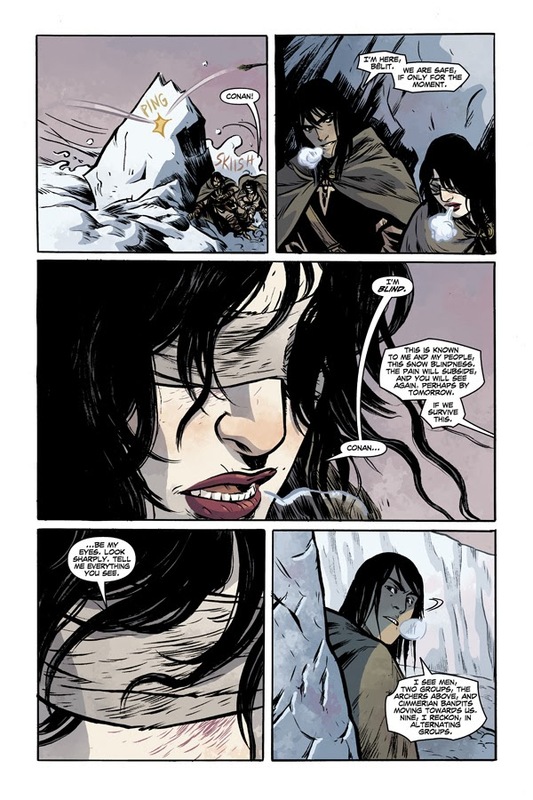 Cloonan's artwork was definitely a stand out for me with her thick primal lines and delicate facial gestures. Her Conan, significantly younger and skinnier than many of his previous incarnations, is almost pretty yet still maintains a visual fierceness. Lolos and Shalvey both bring their artistic A-game but it's hard not to compare their art to Cloonan's as she really sets the tone for the volume. and brings a sense of visual continuity to the volume. So there you have it. Two volumes in and I'm still loving Wood's Conan. It's a little bit innovative, a little bit fresh and a little bit different but mostly it's very much Conan. If you like swords, sorcery and high-adventure then you’re going to love this.